Brides and grooms across the country are this month being asked to donate ‘something old’ for charity in the form of wedding outfits, as part of the first ever national wedding outfit amnesty. Building on its established credentials as a dry cleaning specialist within the wedding industry, Johnson Cleaners has teamed up with The Wedding Wishing Well Foundation – which organises and funds weddings for people with terminal illnesses and life limiting conditions – to offer its dry cleaning services as well as to help raise awareness and much needed funds for the charity. The UK’s leading dry cleaning provider is urging people to drop off their wedding dresses and suits, as well as bridesmaids’ outfits, at any of its stores nationwide; all items donated will either be used by prospective brides and grooms being supported by the charity or sold to raise funds for weddings organised by the charity. 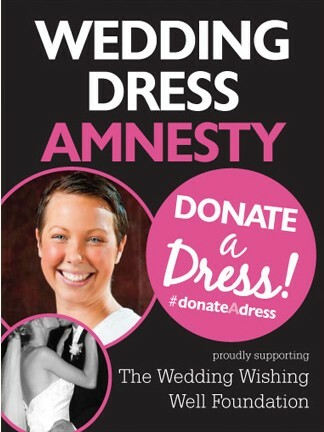 The Wedding Wishing Well Foundation was set up in 2012 by wedding planner, Naomi Thomas, after she married her partner while suffering from secondary breast cancer; the start of the amnesty also marks Naomi’s first year wedding anniversary. Talking about the amnesty, Naomi said: “We originally approached Johnson Cleaners to help support the charity through cleaning, as well as alterations and repairs to outfits that had already been donated; we were blown away when the team not only agreed to offer these services to us, but also developed a national campaign idea designed to get the whole country talking about the Foundation. 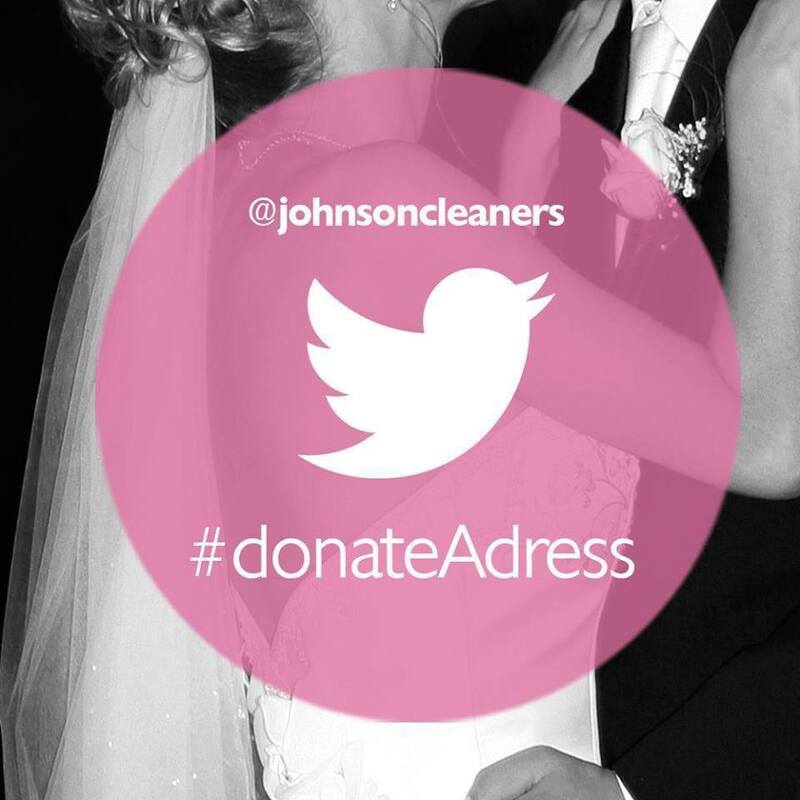 “We want to help create the perfect wedding day for as many people with terminal illnesses and life limiting conditions as possible and our partnership with Johnson Cleaners will have a huge impact on helping us to achieve this goal. The partnership will see Johnson Cleaners altering and dry cleaning up to 10 outfits a week free of charge for the charity. Paul Ogle, managing director of Johnson Cleaners, said: “We were captivated by Naomi’s story and the work the charity is doing within the UK, so we created a campaign that would enable people up and down the country to get involved. 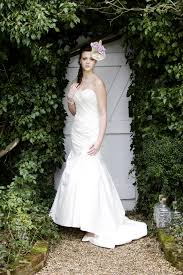 Any outfits donated as part of the amnesty and not used by brides and grooms working with The Wedding Wishing Well Foundation will be sold at open day events due to be set up by the charity throughout the summer. The amnesty will begin on the 3rd June and run throughout the remainder of the month. Johnson Cleaners is the largest dry cleaning company in the UK. The company offers a laundry and ironing service, alterations and repairs, shoes repairs, key cutting executive service, curtain and duvet cleaning, carpet and rug cleaning, wedding dress and formal wear cleaning, suede and leather cleaning and motorcycle leathers cleaning. Johnson Cleaners is a founding member of GreenEarth® and the only national dry cleaning company licenced to offer the GreenEarth® technology. The GreenEarth® process uses pure liquid silicone – a safe, natural by-product of sand that doesn’t chemically interact with fabrics. Proven to be kinder to skin and clothes, the solvent breaks down easily into natural elements if released into the environment. The Executive Guild of Toastmasters this year has decided to ‘give something back,’ having never supported a sole charity or organisation before, this year for the first time they are. The Wedding Wishing Well Foundation are extremely proud to announce that The Executive Guild of Toastmasters have chosen our organisation to support, not only helping with toastmasters whenever they can, but also giving a percentage of the memberships they receive this year. An experienced toastmaster is the lynchpin to ensuring that an event runs smoothly- be it a wedding reception, co-operate event, Masonic Ladies dinner, charity ball, civic function of any other formal event. And, with this in mind, The Executive Guild of Toastmasters have always been fully committed to upholding the ethics, high standards, good character and traditions of the toastmaster profession to guarantee any event is transformed into a great occasion to surpass all expectations – extremely well organised and superbly presented. Now associated with, and actively helping The Wedding Wishing Well Foundation with the smooth running of our poignant wedding days for special couples, professionally trained toastmasters, experts in wedding etiquette and protocol, will discreetly go about their duties, providing confidence and a calming influence on the bridal party to ensure a relaxing and joyful occasion for all. ‘The whole team here at The Wedding Wishing Well Foundation would like to say a huge thank you to this prestigious organisation for selecting us as their chosen charity and for making such a generous gesture through donations. We are over the moon about The Executive Guild of Toastmasters’ decision to support us; we now have peace of mind that when we require a toastmaster, they are on hand to help us and knowing that their members pay a fee to belong to the register will reinforce to us, and others, that our couple’s special day will be in safe hands. 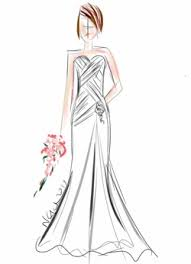 British designer label, Madeline Isaac-James, is delighted to announce that the new Naomi gown from the 2014 Collection will be helping raise funds for the Wedding Wishing Well Foundation. Named after the founder of The Wedding Wishing Well Foundation, Naomi, an elegant shantung gown with lace accents, will be available to brides through Madeline Isaac-James’ stockists from September 2013. A percentage of each sale will be donated to the foundation. The Wedding Wishing Well Foundation was founded in Jan 2012 with a sole aim – to plan and fund weddings for people who are terminally ill. The founder Naomi Thomas has a terminal illness herself and she decided to start the charity when she found herself unable to afford to get married to her long term supportive partner Graham, who she describes as her rock. A local wedding planner came forward to help Naomi & Graham with their wedding and they married in June 2012. The Wedding Wishing Well Foundation had a very successful first year, and is proud to have been honoured with two awards from national magazines in January 2013 (Bride of The Year Award and Most Caring Person Award) in Jan 2013. Through the increase in exposure of the good work that the Foundation offers, it continues to receive offers of help and also, consequently, has had many more enquiries from brides and grooms looking for support. For samples, images and information please contact Carol Richardson at carol@prbods.com or 07974 752 870. Follow both Madeline Isaac James and The Wedding Wishing Well Foundation on Facebook and on Twitter.